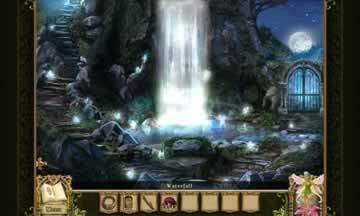 Awakening: Moonfell Wood Game Review - Download and Play Free Version! Solve puzzles and follow clues to find your missing family and friends! After a century of enchanted sleep, Princess Sophia finally awakes to find herself alone in her world. With her friends and family missing, Sophia must team up with her fairy friend to find and rescue her people. You must guide Princess Sophia through incredible landscapes and help her solve difficult tasks and puzzles, finding clues and magical hidden objects along the way. There is also the opportunity to meet interesting creatures and help them on their own magical quests. Can you help Princess Sophia find her family and friends and save her magical world? In Awakening: Moonfell Wood, it's up to you to help Princess Sophia discover the clues that will help her solve the mystery surrounding the disappearance of her people. In this first-person perspective puzzle/adventure game, you will travel through dazzling scenery while solving puzzles and locating hidden items that will benefit you during your travels. You will not have to make this journey alone; however, as a helpful fairy will guide you through your journey. Can you help Princess Sophia reach the Fairy Queen and become closer to solving the mysterious disappearance of her people? As the sequel to Awakening: The Dreamless Castle, in Awakening: Moonfell Wood you continue the journey that Princess Sophia originally embarked upon. Princess Sophia awakens after a 100-year slumber only to find that her people have disappeared and she is the only remaining person in the kingdom. Upon leaving the Dreamless Castle, Princess Sophia travels to Moonfell Wood, where she hopes to find the clues that will help her locate her missing people. As you continue Princess Sophia's journey, you will travel through a magical forest searching for objects and clues. The forest is visually engaging and stimulating as your environment is filled with trees, waterfalls, flowers, animals and gems. With the help of a fairy, you will travel into the unknown and come closer to solving the mystery. You can interact with most of the objects in your environment, and if you need assistance at any point in the game, the fairy that is travelling with you will be able to offer helpful hints and advice. 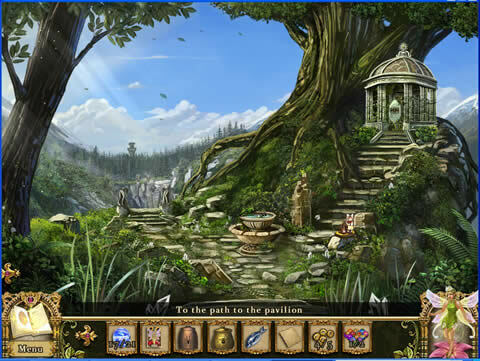 Puzzle solving is a major gameplay component in Awakening: Moonfell Wood. Some of the puzzles are straightforward and basic, and others are quite complicated and challenge you to arrive with the solution. You can expect to piece together colorful puzzles, reassemble stone lantern figurines and untangle flower vines. There are also numerous mini-games that challenge you complete a variety of tasks. If you are a fan of solving puzzles or simply enjoy searching for hidden objects, Awakening: Moonfell Wood will definitely put your skills to the test. While you are travelling through the magical and mysterious forest, you will need to collect various items that will help you on your journey. There are a variety of items that you will need to unravel the mystery, such as gems, magic cards, flowers, acorns and butterflies. Since your environment is incredibly detailed, you will have to search carefully to find the items you need. Christie Rowe is an avid gamer and has been playing video games since the days of the NES. When she is not playing first-person shooters or simulation games, she enjoys freelance writing and jogging on her favorite trail. Awakening: Moonfell Wood is an excellent example of how to effectively design a casual point and click adventure game that incorporates hidden object hunting and puzzle solving flawlessly. The game sets you on a quest through a magical and mysterious forest while you discover important items and solve puzzles to learn more about the mystery surrounding Princess Sophia's kingdom. The story engages you immediately as it is presented as a beautifully illustrated storybook. You play as Sophia, a young princess who awakens from a century long slumber only to realize that everyone in her kingdom has disappeared. With the guidance of a helpful fairy named Mira, Princess Sophia leaves the castle grounds and travels to Moonfell Wood. It is in this magical forest where Sophia hopes to meet with the Fairy Queen and learn the reason behind the disappearance of her people. Although the storyline is intriguing, you should not expect much as far as character development. Princess Sophia is a silent protagonist and Mira is essentially a hint system disguised as a colorful fairy. Everything you learn about Princess Sophia occurs within the first few minutes of the game and there are not any details about what life was like in the kingdom before she fell asleep for 100 years. While it would have been nice to learn a little bit about what happened before everyone disappeared, this is relatively minor as most of your time is spent looking for clues and solving the mystery behind this enchanting story. The gameplay features a standard point and click design and since the game is in first person, you are able to see everything in your immediate environment. The core gameplay is centered on interacting with items in the environment, solving puzzles and locating essential items to add to your inventory. One of the more unique gameplay features is that some of the objects in your environment are only accessible at certain times of day. Night and day are key elements of the game. For example, you need to wait for nighttime to occur before you can interact with objects located near a beehive and you will need to secure a light source to see clearly into dark areas. It's very entertaining to thoroughly explore everything that Moonfell Wood has to offer. Since there is so much to look at and explore, you will have to examine your surroundings carefully because you never know which items and objects will be useful. Normal and casual are the two difficulty options to choose from and each option has differences in the availability of hints and displayed goals. Casual difficulty allows for hints and the option of skipping puzzles to charge quickly. While you can still receive hints and skip puzzles in normal difficulty, these options charge much slower, limiting your ability to use them frequently. Regardless of which difficulty you choose, the gameplay is not too difficult as the game can be played by gamers of all ages. After you complete the game, you unlock an intriguing card game known as TriPeaks. The game is similar in nature to solitaire and consists of three piles of cards. The game challenges you to clear the entire deck by picking a card that is one higher or lower than the card on the top of the pile. This challenging game is a great addition to the already fantastic gameplay of Awakening: Moonfell Wood. The environment is gorgeously detailed and very colorful. Princess Sophia's surroundings in Moonfell Wood appear as though they were taken directly from a fairy tale storybook. The use of subtle lighting effects, particularly during the nighttime hours, helps to immerse you further into the beauty that is Moonfell Wood. The small details in the game are also a nice touch and add to the overall atmosphere. For example, when you are examining a pond, you can see noticeable ripples in the water when you click on it. Your surroundings are so incredibly detailed and rich in bright colors that it can increase the difficulty when searching for hidden objects. The background music has a gentle melody and is of high quality. It certainly adds a peaceful and enchanting element to the magical forest atmosphere in Moonfell Wood. The voice acting in the cut scenes is also quite good. The controls in Awakening: Moonfell Wood are fairly simple. Whether you are new to playing point and click adventure games or are just discovering the genre, you will have no problem learning the basic controls of the game. You are able to interact with your environment by simply clicking on a particular area. You explore your world by moving through various areas in the forest, with each having numerous areas that you can interact with. Many of the items collected to perform various tasks are creative and can be challenging at times. For example, you will need to figure out how to light a candle to see the inside of a hollow tree and find ways to appease certain animals or characters. The objects that you need to find or gather are typical of what you would expect to find in a magic forest and include fairy beads, gems, Tarot cards, pet dragons and enchanted oil. While Awakening: Moonfell Wood is described as a hidden object adventure game, you will spend a lot of your time solving puzzles. You can expect to complete jigsaw puzzles, pattern matching puzzles, tile rotation and spot-the-difference puzzles. Some puzzles require you to piece together a broken vase or old parchment while others require you to untangle flower vines or piece together an image of something. Most of the puzzles are not particularly challenging and can easily be completed by paying attention to the clues that you are given. There are also numerous hidden object puzzles. The hidden object scenes come in two varieties. The first one is a standard hidden object search where you are presented with a particular image and a list of objects to find. The second hidden object game is a bit more interesting and involves locating a specific number of objects on a Tarot card. For example, you may be required to find 12 moons that are nicely hidden on a beautifully painted Tarot card. Although there are a lot of puzzles to complete in the game, most of them are fairly similar and can become repetitive and monotonous at times. In particular, there is a great deal of puzzles that require you to swap tiles to complete an image. Since puzzle solving is a huge aspect of the game, it would have been great if there were more variety in the types of puzzles available. If solving some of the puzzles becomes too tedious, you always have the option of skipping it and immediately be shown the correct solution. With the exception of the TriPeaks card game that you can unlock by completing the game, Awakening: Moonfell Wood is essentially the same game each time you play. Unless you are a huge fan of solving puzzles or searching for hidden objects, Awakening: Moonfell Wood has a very limited replay value. If you initially played the game on casual difficulty, you may want to give the game a try on the normal difficulty, but the gameplay will basically remain the same. Your fairy guide Mira serves as the hint system in the game. Depending on whether you choose normal or casual difficulty, you can click on her whenever you get stuck in the game. The hint system is very basic and never makes anything too obvious. At times, it can be extremely unhelpful as Mira may tell you something that you are already aware of. Most times, she will give you a vague response about where you should go or an item that you may need to interact with, which is usually the most obvious answer. The hint system could be improved if it gave you a little more direction about how to complete a specific task or find a certain object. Although the hint system can be frustrating at times, it certainly does not take away from the enjoyable gameplay of Awakening: Moonfell Wood. You should expect to receive basic direction if you are truly unsure what to do next or where to go. You can expect to encounter a variety of magical and mythical characters in the game. These characters are typical of what you would expect to find in a magical forest and include goblins, centaurs, witches, fairies and even a pet dragon. Interacting with these characters enhances the overall enchanting theme of the game and makes the gameplay a more enjoyable experience. Awakening: Moonfell Wood is a fantastic game and the fantasy/magical theme of the game is a refreshing addition to your typical hidden object/puzzle solving adventure game. Even if you have not played the original game in this series, an informative recap at the beginning of the game will give you all the details you need concerning the storyline. This game is a great choice for players who may or may not be familiar with the genre. With the exception of a few relatively minor issues, this game has a lot to offer and is thoroughly enjoyable. The stunning visuals and superb gameplay make journeying through the enchanted forest of Moonfell Wood an absolute must.